Zostavax was the first vaccine for the prevention of the herpes zoster virus which is commonly known as "shingles." Singles is caused by the same virus responsible for chickenpox which occurs during childhood. Shingles is basically the adult version of chickenpox and it most often affects people over the age of 50. After an outbreak of chickenpox during childhood, the virus lies dormant inside nerve cells for years. In most people the virus never reappears, but in certain individuals the long dormant virus suddenly comes back to life as shingles later in their adulthood. Shingles is a very painful condition and causes a rash with significant blisters to appear on the skin. Not long after the Zostavax was first released it became apparent that there was a problem with the popular shingles vaccine. For most people Zostavax worked exactly as intended without any side effects. 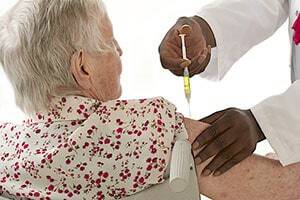 However, in a certain percentage of people the Zostavax vaccine not only failed to protect them from shingles but actually caused them to develop a variant strain of the shingles virus that was more painful and difficult to treat. All vaccines work on the same principal. They expose the body to a small, reduced strength sample of the virus which the body's immune system can easily block and destroy. Afterwards the person develops immunity to that virus. Developing a safe viral vaccine requires a delicate balancing act. The sample of the virus in the vaccine has to be diluted enough to prevent it from causing infection; but if the virus is too diluted the vaccine will actually make people more susceptible. The Zostavax vaccine was developed and sold by Merck, a large pharmaceutical company based in New Jersey. Like all vaccines, Zostavax was basically a diluted form of the actual shingles virus. Unfortunately, for certain patients the strain of the shingles virus in Zostavax was not diluted enough and they developed a variant strain of the shingles virus. This variant of the shingles virus is not only more difficult to treat but also causes more internal health problems and more painful symptoms. Since 2016 numerous Zostavax lawsuits have been getting filed against Merck by people who developed the stronger variant of the singles virus from the vaccine. Estimating the potential settlement or trial value of the Zostavax cases is somewhat difficult for several reasons. First, the Zostavax cases are fairly new and they were recently consolidated into an MDL in Philadelphia. This means that none of the Zostavax cases have actually been settled or gone to trial yet so we don't have any prior history for direct comparative valuations. The other thing that makes it hard to estimate the value of the Zostavax lawsuits is the wide variation in the type of injuries allegedly caused by the vaccine. The more powerful strain of the shingles virus caused by Zostavax allegedly led to more serious physical injuries including: cardiovascular damage, chronic joint and muscle pain, and in some cases even death. The estimated value of a Zostavax case will vary depending on the level of injury involved. For our purposes we will break the potential cases down into 3 categories of injury. 2016 New Jersey: $300,000 Settlement: 88-year-old nursing home patient develops serious pressure sores in the buttocks sacral areas and suffers from them for over a month before he dies from unrelated causes. The case settled for $300k which gives us a very good indication of the perceived value of 1 month of pain and suffering from bed sores. 2015 New York: $500,000 Verdict: stage II or III bed sores develop on the buttocks of an 86-year-old man while he is bedridden following surgery. He suffers from the bed sores for almost a year before dying. His estate sues the hospital for failing to reposition him enough to prevent the bed sores. Jury awards $500k for pain and suffering. 2015 Pennsylvania: $110,000 Settlement: elderly hospital patient develops several pressure sores throughout his body. He later dies but his death proves to be unrelated to the bed sores. His family agrees to settle the case for $110,000 which is primary related to the bed sore injuries. 2012 Illinois: $575,000 Settlement: 77-year-old woman develops stage III bed sores from neglect in an elderly rehab facility and was ultimately hospitalized for complications relating to the bed sores. The case settled out-of-court for $575,000. This second group of Zostavax lawsuits covers cases in which the plaintiffs got the stronger version of the shingles virus and it caused more serious conditions or injuries such as cardiovascular conditions, vision or hearing loss, lymph node disease, etc. To estimate the potential value of Zostavax cases in this category we can look at other mass tort cases involving drugs which caused similar internal damage such as Pradaxa; Xarelto; and other dangerous drugs. Based on this comparison it is reasonable to estimate that Zostavax cases in this category will have a settlement value range of $1,000,000 to $3,000,000. Our final category is for Zostavax wrongful death cases. In a small handful of cases the more potent form of shingles caused by the Zostavax vaccine led to major internal damages which eventually caused death. We can estimate the potential value of these cases by looking at other wrongful death settlements. The value of wrongful death claims often depend on the age and status of the person that died. The average value of a wrongful death for an adult is about $4 million for all types of cases. The average for the death of a minor is slightly higher at $4.5. A wrongful death claim for someone over the age of 65 is significantly less at $1.6 million. You really need to keep in mind that this is just wild speculation. Absolutely no one knows what the settlement value will be for the Zostavax lawsuits. We are throwing a few darts on the board to try to guess about the possible range of settlement values in the Zostavax litigation because people want to hear theories and speculation on the monetary value of their potential claims. Remember, civil lawsuits are about money and there is nothing wrong with curiosity as to how much money you might get for your claim. If you were harm by a Zostavax shingles vaccination you need to consult with an experienced shingles attorney to figure out whether you have a potential claim for your injuries. Time is ticking on your time to file a case. We are reviewing Zostavax shingles vaccine cases. Call us at 800-553-8082 or get a free online consultation.